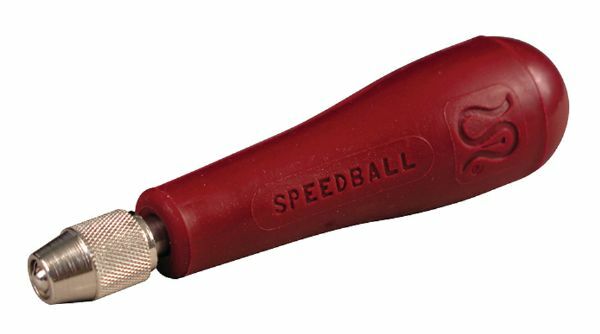 Hard plastic comfort grip handle has hand-adjustable metal chuck for easy installation and changing of linoleum cutters. * End of handle twists off for convenient cutter storage. * Red lino handle blister-carded. 6.88" x 3.12" x 1.25"